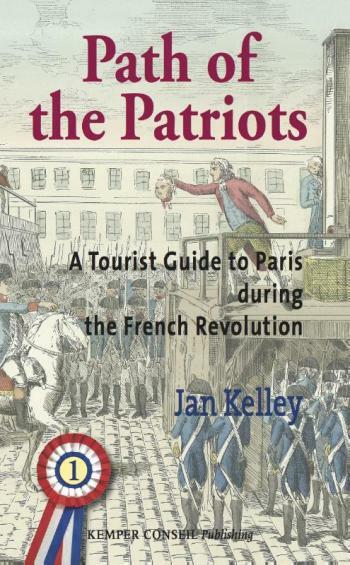 Step into the revolution that changed the world 'It took all the daring of an English author to embark on writing a guide that transports the walker back in time to the Paris of the French Revolution. Her book illuminates this difficult and complex period, one that opened the door to a shining age of liberty.' - Frdric Lacaille, Curator, Muse National des Chateaux de Versailles et Trianon You don't need to know anything about the French Revolution to enjoy Path of the Patriots, because this historical time-trip tells you everything! You'll see squatters in the Louvre, revolutionary committees in royal bedrooms, savage massacres and beheadings where Parisians now sit eating their sandwiches, and a revolutionary prison right in the middle of Boulevard Saint-Germain. Path of the Patriots is a goldmine of tales and anecdotes about this turbulent period in Paris's history, and it tells you where to eat and drink while reading them. This book is so full of fascinating stories, you'll enjoy it just as much sitting at home with a glass of wine as you will when you're wandering around the beautiful French capital. You'll never look at Paris in the same way again! Path of the Patriots comes in two volumes, and has a total of ten walks. The first four walks are in Volume One, which also gives you an introduction to the Revolution through a brief history of what happened, biographies of the people who made it happen, and a description of what the city of Paris looked like during the revolutionary era. In Volume Two there are six more walks that will complete this unique experience of Paris during one of its most dramatic periods of history. Whichever of these two volumes you read, get ready to step into the Revolution that changed the world! About the Author Jan Kelley is from London, but has spent much of her adult life in other places, including New York, Boston and Paris. Her professional life has been equally varied, ranging from teacher to translator and writer. A life-long love of history coupled with living in the ancient heart of Paris led her to write this book. Path of the Patriots, Volume Two: ISBN 978 90 76542 713 Path of the Patriots, Two-Volume Set: ISBN 978 90 76542 720 Also Available in Paperback Path of the Patriots, Volume One: ISBN 978 90 76542 508 Path of the Patriots, Volume Two: ISBN 978 90 76542 515 Path of the Patriots, Two-Volume Set: ISBN 978 90 76542 300 -------------------------------------------------------------------------------- Take a historical time trip through the streets where it all happened, to where Parisians lived, worked, ate and drank, rose up in arms, and to where many ended their lives under the blade of the guillotine. The two books contain ten walks, which take the reader around different neighbourhoods that were instrumental in the Revolution. Each walk gives the visitor a complete experience of the atmosphere of that area during this period by pointing out the people and revolutionary events associated with it. Also included are references to contemporary architecture, and some of the more colourful residents, as well as restaurants, brasseries and cafs with a revolutionary history. Each walk is full of stories and anecdotes, as well as illustrations, maps and detailed instructions. They reveal hidden treasures that will never be found in a typical tourist guide of Paris. Path of the Patriots is not just about the unknown. It also takes you to many of the more famous sights of Paris, including the Louvre, the Tuileries, the Conciergerie, Notre-Dame, Place de la Concorde, the Pantheon, the Palais-Royal, as well as a complete walk through the town and chteau of Versailles. Now, however, you have a different view. The Pyramid is not just the new and elegant entrance to the Louvre. It stands on the site of a labyrinth of tiny streets where rebellious citizens rose up against the King, and where the Queen got hopelessly lost while attempting to escape. Every walk offers a different glimpse into the excitement, idealism, and terror that characterized this amazing period of history, be it following the path of the condemned to the guillotine along the rue Saint-Honor with stores and cafs still standing today, or visiting the prison that held Josephine during the Terror and still has her graffiti on the walls. The storming of the Bastille comes to life before your eyes as you have a drink on a caf terrace that now occupies the main courtyard of this famous prison. For frequent visitors to Paris, this guide offers a unique way to look at the city. It gives an extra dimension to popular sites like the Tuileries by showing what used to be there (i.e. the Tuileries Palace, demolished in 1884) and what happened there. Many do not know that this is where Louis XVI and Marie-Antoinette were first held in captivity, and where Robespierre compiled his dreaded list of suspects. Even fewer know that Thomas Jefferson attended musical concerts there, and only just escaped from being the first victim of the Revolution. The Walks, Volume I 1. Versailles - an Ending - and a Beginning The Town of Versailles Htel des Menus-Plaisirs Salles du Jeu-de-Paume The Chteau The Museum The Gardens The Trianons This walk takes you out of Paris into the magical world of Versailles, dazzling symbol of the ancien rgime, Marie-Antoinette's sumptuous playground, where Louis XIV reigned in glory, where Louis XV thoroughly enjoyed himself, and where Louis XVI got embroiled in a revolution. You will witness the horrifying events that brought the golden age of Versailles to a brutal end when the hungry and enraged people of Paris invaded the once inviolable palace. This walk also takes you on a tour of the town of Versailles, whose inhabitants saw their king in splendour at the head of the opening procession of the Estates-General, only to witness, just a few months later, his sad departure forced on him by an angry multitude of Parisians. In this now peaceful town you'll find the indoor tennis court where rebel deputies swore to create a constitution, and a little park where French democracy was born. 2. The Cradle of the Revolution - In and around the Palais-Royal and its garden. `We went after dinner to admire the beautiful arcades that the new Duke of Orleans has just built around the Palais-Royal. Looking at them, it seems that we have achieved exactly the kind of place that Plato thought we should put prisoners, so as to retain them without violence and without a gaoler, but with gentle, voluntary chains. It is the Temple of Voluptuousness.' This walk takes you on a tour of these wonderful arcades built by Philippe d'Orlans, the renegade royal who went from duke to property speculator to patriot, eventually becoming a victim of the Revolution he adopted. His garden inside the arcades was a hotbed of political agitation, where pamphleteers and orators whipped up public opinion. One of these orators was Camille Desmoulins, whose fiery speech here in July 1789 was the first call to arms of the Revolution, and triggered the storming of the Bastille. 3. Saints and Scholars in the Latin Quarter Montagne-Sainte-Genevive Panthon Lyce Louis-le-Grand Place Maubert Saint-Sverin Over the centuries a mass of schools, colleges, abbeys and convents clustered around the Montagne Sainte-Genevive, the little hill in the centre of Paris that was to become the heart of the Latin Quarter. On the top sits the Panthon, created by the National Assembly and destined to receive the remains of the nation's heroes - its scholars of revolutionary thought and its saints of revolutionary action. On this walk you'll see the historic school that turned numerous provincial boys into republican patriots. You'll also visit the neighbourhood of the night owl, Restif de la Bretonne, and the home of an ex-royal page whose denunciation sent his former mistress to the guillotine. And if you want to see a real revolutionary guillotine, this is the walk to take. 4. Chez Les Cordeliers Odon Saint-Germain Luxembourg Les Cordeliers was one of 60 municipal districts created early in 1789 for the elections to the Estates-General. It corresponded to the central part of today's 6th arrondissement now known as Odon, and its centre was the Cordeliers Convent, where Danton and his friends installed their revolutionary club. Many of the more prominent club members lived in this neighbourhood, which thus became associated with the Dantonist faction. A few steps from the club stood Marat's house, where Charlotte Corday visited one day with a kitchen knife. On the southern edge of the Cordeliers district was the Luxembourg palace, with its romantic gardens where one future revolutionary had an idyllic encounter that would change his life. To the west were the peaceful havens of the Carmes Convent and the Saint-Germain Abbey, both destined to be transformed by the Revolution into places of horror and death.